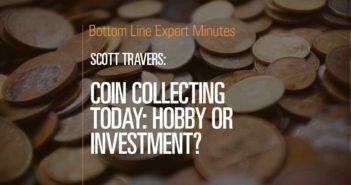 Scott A. Travers, president of Scott Travers Rare Coin Galleries, LLC, ranks as one of the most knowledgeable and influential coin dealers and advisers in the world. Scott is the author of seven best-selling books on coins, including The Insider’s Guide to U.S. Coin Values and The Coin Collector’s Survival Manual. He is a former vice president of the American Numismatic Association, served as a coin-valuation consultant to the Federal Trade Commission and is a forceful consumer advocate for the coin-buying public. Scott is one of Bottom Line’s Featured Experts—follow his blog, The Money Connoisseur, and watch his videos, Face Value: Investing in Metals and Money. How are Coins Graded and Certified? 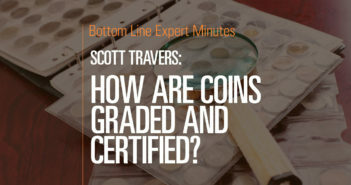 Scott Travers, gold and rare coin expert and author, explains that professional grading services exist to evaluate the condition of coins and grade them. What Determines a Coin’s Value? What determines the value of a collectible coin? 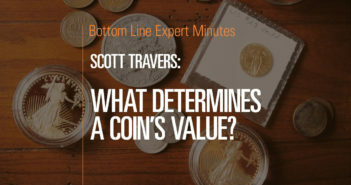 Scott Travers, gold and rare coin expert and author, lists the 3 factors that determine value. Coin Collecting Today: Hobby or Investment? Coin collecting was a hugely popular hobby in the 1970s, but since then its popularity has waned—so is coin collecting now a hobby or a form of investing? Coin collecting was a hugely popular hobby in the 1970s, but since then its popularity has waned—so is coin collecting now a hobby or a form of investing? Scott Travers, gold and rare coin expert and author of The Insider’s Guide to US Coin Values, says that now it’s a good idea to purchase coins whose costs are very close to the melt value of the metal in those coins. Historically, the value of coins was greater than the the value of the metal in the coins because collectors drove up the value. But now there are fewer collectors, so these coins have declined in cost, allowing consumers to purchase them without paying the additional collector’s premium. So collecting and investing now go hand in hand.